How do I keep our budget from turning inward? Jesus directed these words to the crowds at the Sermon on the Mount, but their truth is just as appropriate for your church today. 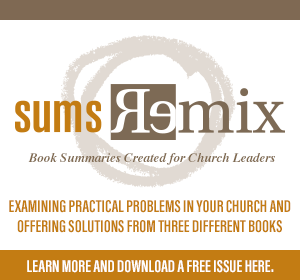 If you are concerned that your church is beginning to become more inward-focused, take a look at the finances: If more of your church’s funds are being used to keep the machinery of the church moving and to keep the members happy, rather than to fund the Great Commission and the Great Commandment, you have a big problem. The inward focus of financial matters is symptomatic of a heart problem. When a church consistently directs resources and energy more toward its own needs than the need to reach their community and the world, decline toward death becomes a natural result. If you are concerned that you are on the this path, start with YOU. Model generosity so it becomes a driving force in your church. What kind of help would people receive if the only training they were given on money came from the church? Leading a Generous Church: Making Disciples without Chasing Money takes your team through a step-by- step process to develop a generosity playbook that delivers unprecedented confidence and clarity. Using the book of Proverbs as its foundation, the resulting playbook is an innovative tool that provides a fresh perspective on generosity – one that will truly grow passionately generous disciples. Pastors always desire a generous culture, but very few know what it really is and are willing to do the work to experience it. They tend to default toward doing nothing (except complaining) or executing yet another quick fix, short-term remedy. While there are a few necessary ingredients for true generosity, the one absolute is that the senior pastor must model and lead the way. 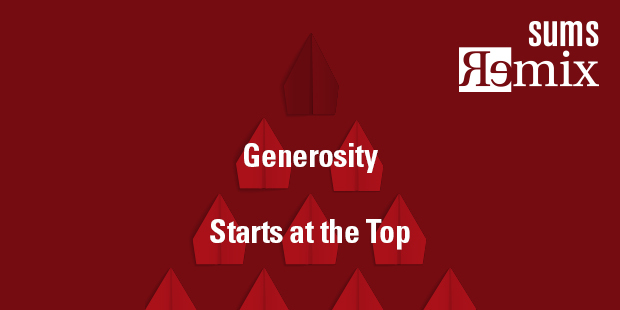 If you want to lead a generous church, the senior leadership must become passionate about generosity. Your heart must be overcome. Stewardship must be a driving force shaping your culture. Be mindful that a generous culture produces many results beyond a surplus of finances. It helps with volunteerism, impact in society, personal faith, and a more positive disposition. I have never met an unhappy, over-stressed, or weary obedient servant. Who doesn’t want these positive characteristics to permeate church culture? Often when churches pursue generosity, they pursue more money. The pursuit of money is not the same as producing a generous disciple. Money can be gained quickly, but the strategy can contain unintended negative results. If the ill-gotten gain is money, the proper gain must be a transformed disciple. And that transformed disciple may need to begin with you. 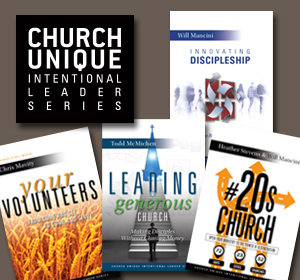 Anchor generosity within your existing set of core values by crafting 2-3 ”demonstrated by” statements for each, showing how stewardship is lived out in the culture of the church. Then locate one to two verses for each value, to provide Biblical encouragement, discipleship, and direction toward generosity. We are passionate about the power of uplifting conversation. Our words come from our heart and the generous heart of God will be loud. Demonstrated by telling stories at leadership meetings of how life change is occurring in ministry areas due to the positive generosity of our people. Demonstrated by expressing thankfulness in our worship services for the abundant generosity we have received both from God our provider and our people on a weekly basis. Demonstrated by personally thanking volunteers and investors one on one. Language is one of the most important tools you have as a leader. With language you direct, inspire, inform, and communicate. Clear communication and modeling are actually the two most basic activities in a leadership relationship. You show; you instruct. Clearly demonstrating agreed upon values in your own words, grounded in scripture is empowering. When you are in a collaborative environment and your team understands how your values impact all ministries, it will provide both accountability and direction for your team. Taken from SUMS Remix 18-1, published July 2015.